Or view larger version. Tanforan internment camp. ca. 1942. Professor Chiura Obata, artist. Ink drawing on paper. Collection of Oakland Museum of California. 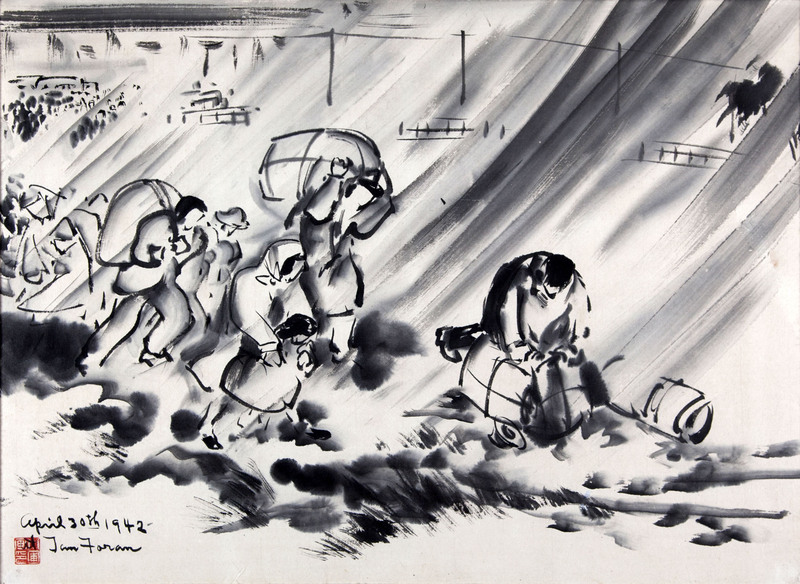 Gift of Chiura Obata.